Recreational sport fishing for halibut opened March 1st, one month later than the usual opening. And it may close by the mid-summer, making the season shorter than in previous years. This has recreational sport fisherman reeling (no pun intended). 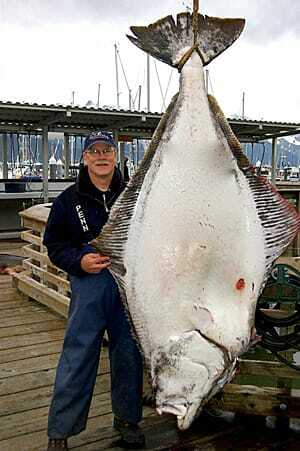 As halibut are caught in the later years of their life cycles, the yearly catch fluctuates accordingly. Based on reduced numbers over the past decade, however, the Pacific halibut fishery has seen a significant decrease in its total allowable catch. As such, the DFO has adjusted the fisheries opening dates and permitted quotas accordingly. Recreational halibut and salmon sport fisheries in BC attract anglers from across Canada and the US, and is an industry gaining millions of dollars yearly. The broad fear among the sports fishing community here is that ongoing questions about halibut quotas could send valuable tourist dollars permanently north to Alaska, where there are fewer restrictions on the length of the season and the fish to be caught. [Read full article].